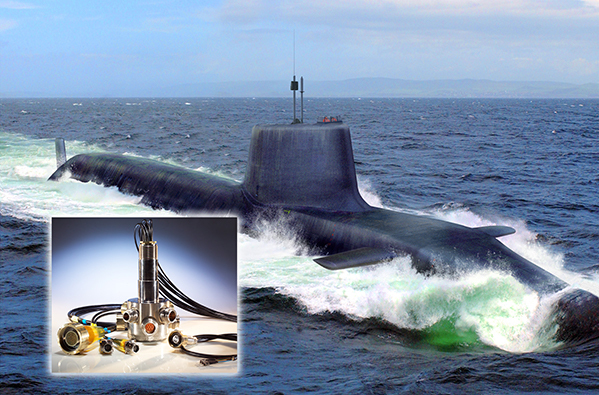 WESTERLY, RI, June 11, 2018 — AMETEK SCP, a leader in custom electrical and optical connectors, cable assemblies and hull penetrators found on the US submarine fleet and other navies worldwide, will present at the Undersea Technology Conference, June 26-28, 2018, in Glasgow, Scotland. The presentation by SCP Sales Director Steve Thumbeck is entitled Emerging Naval Warfare Requirements Demand Improvements on Many Parts of a Submarine, Including the Interconnects. It will cover the revitalization under way in the global submarine industry and the technical changes being brought about by next-generation submarine designs.